Spring has arrived in the valley. The sweet little Verdins are sitting on their eggs, the Painted Lady butterflies are migrating to wherever they go, stopping by to rest on the big purple blossoms of the Texas Laurel in the garden. The aroma of the oncoming scorching summer of the Mojave Desert is wafting on the breeze and it’s time to think about heating the pool. Oh, crap. It’s bathing suit season. 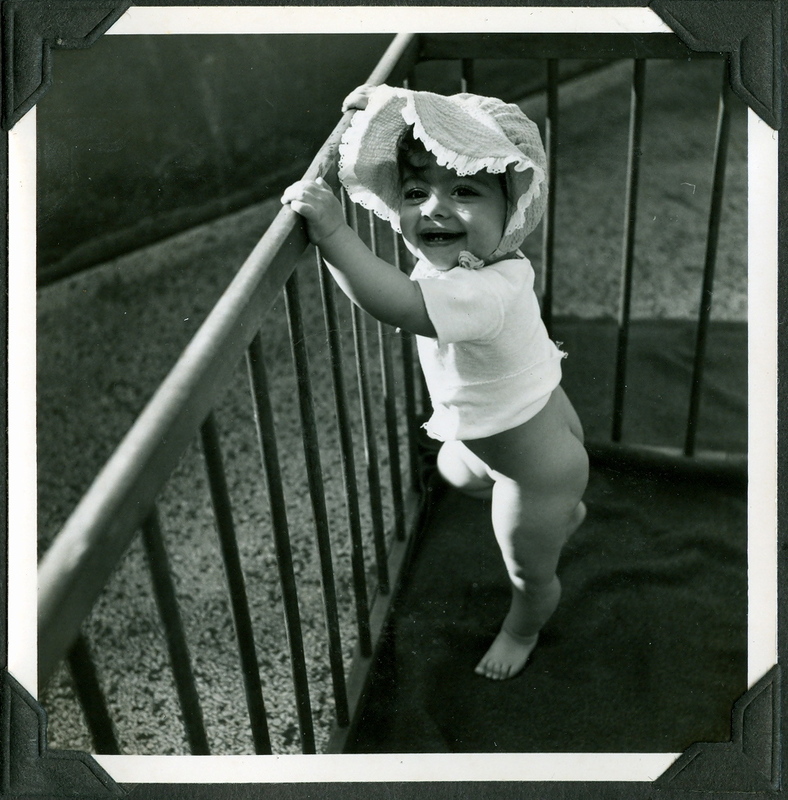 My mother was an avid advocate of the “airing out.” Here, my happy little fanny is being treated to the warm sunshine of Berlin in 1951 and the undershirt is rolled up a bit for maximum exposure. Essential Vitamin D production is in progress, and maybe this was the day that I first developed my life-long love affair with the sun, worshipping from below its magnificence, warmth, and marvelous, slenderizing tanning properties. I look at this photo with overwhelmingly mixed emotions, laughing and crying and feeling a bit sick to my doughy stomach as I realize that, 60 years after the day of the snapshot, my current body eerily resembles the one in the picture. Halloween, Thanksgiving, Christmas and New Year have blown by in a blur. The Season of Self-Delusion is once again upon me. I squeeze my fluffy self into a “figure flattering” swimsuit, swath it from the neck down in a silky sarong and ignore the mirrors as I march towards the sunshine. On the way out, I grab my hat.